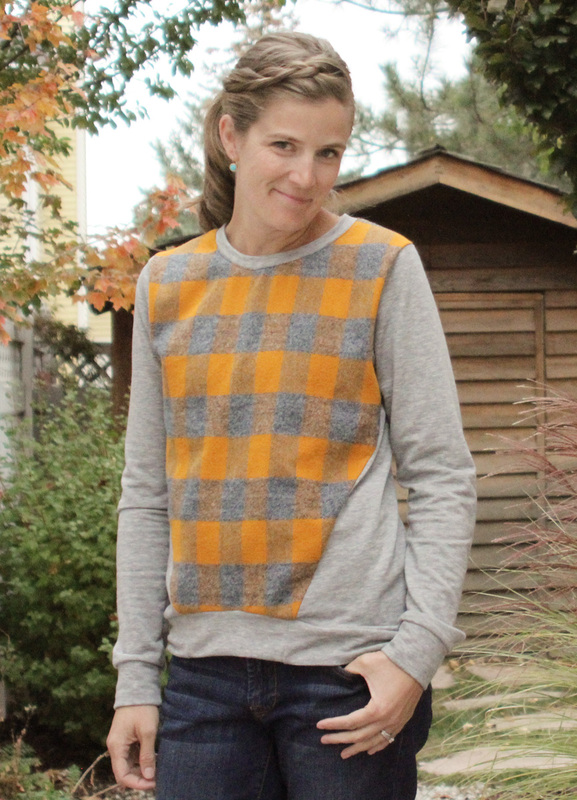 As I was sewing up this Hatteras Hoodie earlier this week I had a vision. 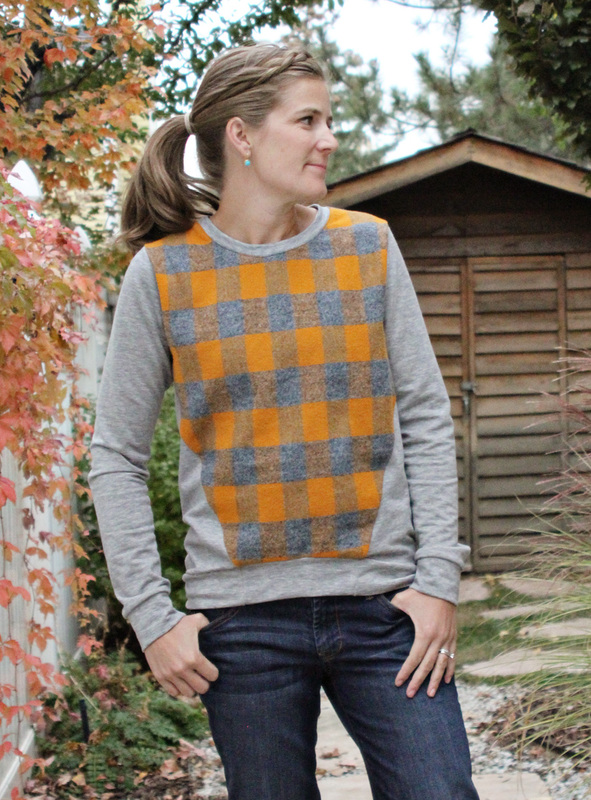 I’ve been dying to do a plaid flannel front sweatshirt and I knew the Hey June Halifax Hoodie view B would be the perfect pattern to do it. 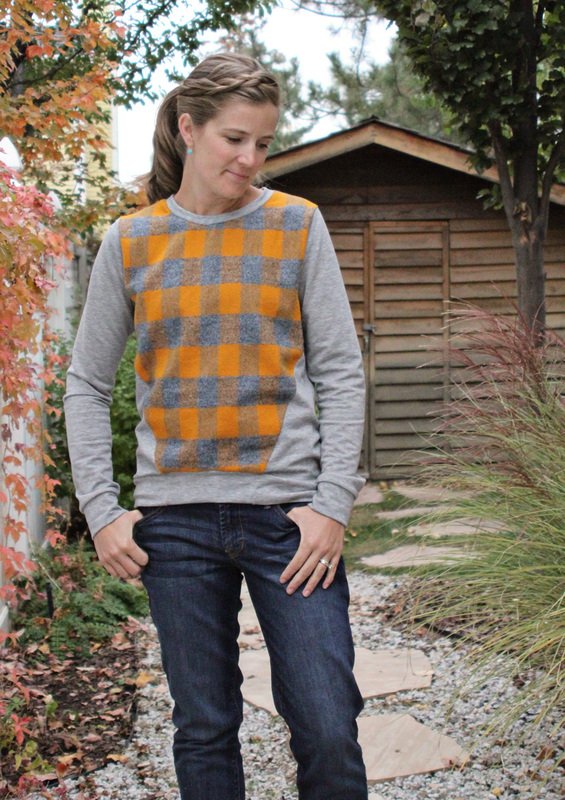 Raspberry Creek has been carrying Robert Kaufman Mammoth flannel for awhile and I simply love it. (You can see what’s in stock here.) It’s thick and cozy and washes up great. There are tons of prints to choose from and Di is always getting in new stuff. The minute I saw this flannel in the shop I knew I needed it. Paired with light grey french terry, this is now my new favorite sweatshirt. I wore it all day and didn’t want to take it off. It’s currently in the washer so I can wear it again. Totally obsessed! I didn’t make any adjustments to the pattern. 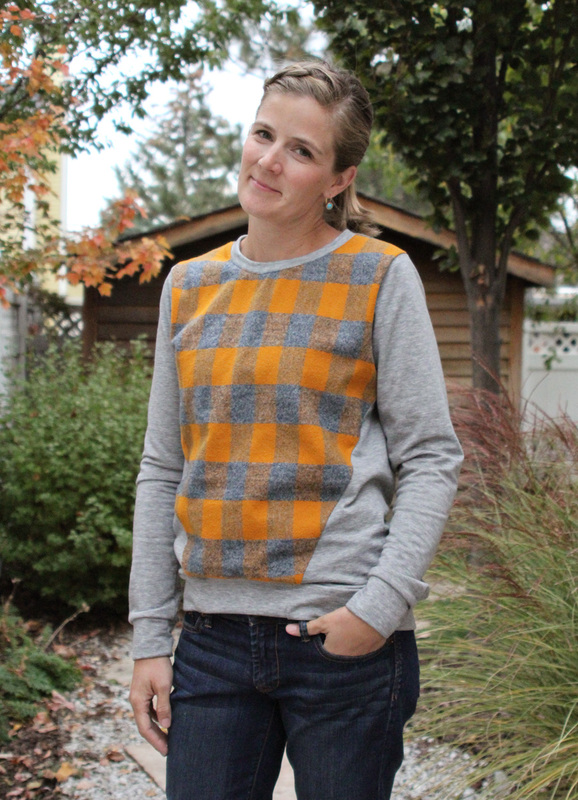 This is a size small and I feel like there is plenty of ease built in to the pattern so the woven works great for the front piece. I have a small chest though so I don’t have to worry about tightness there- I’d maybe size up if that is an issue for you. I’m currently trying to figure out how many more of these I can make before people get sick of seeing me in them. I think there are so many options with this pattern and I can’t get enough of it!